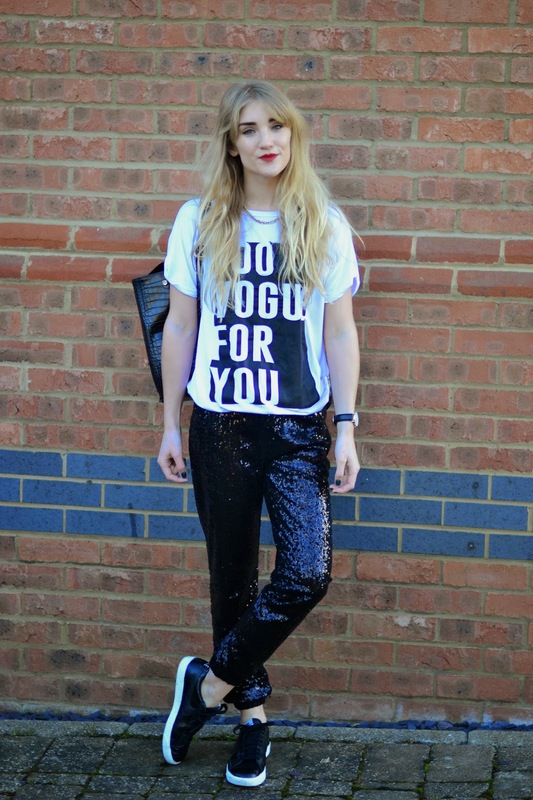 The way I see it, the time between Christmas and New Year is still definitely sequin-wearing season! It’s the perfect time to pair party-ready pieces like these F&F joggers with more casual tees and accessories for a cool dressed-down luxe vibe. 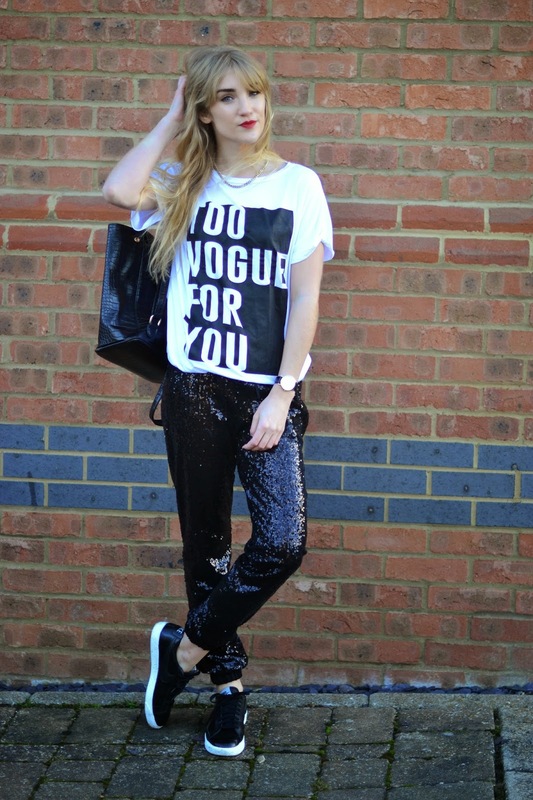 I’m loving this joggers and Nikes combo along with one of my trusty slogan tees! 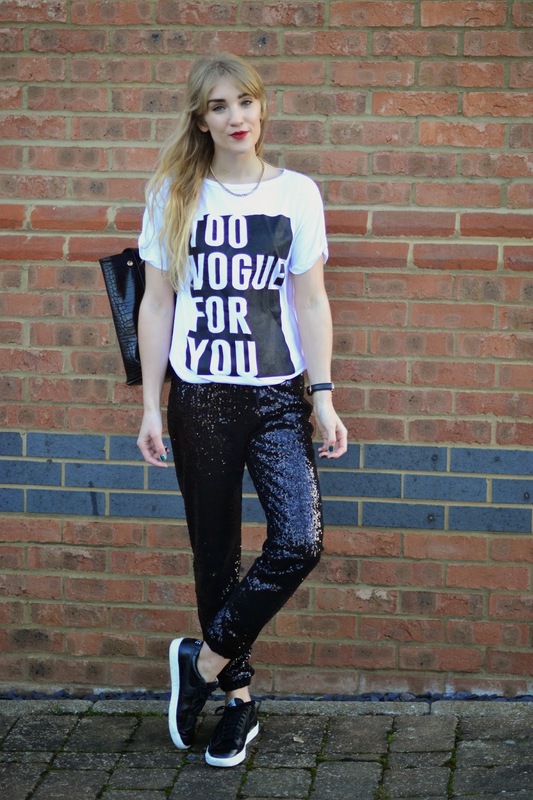 Perfect for adding a bit of sparkle to your day-to-day wardrobe. Previous Post Christmas Eve sparkle.